We live in a time when facts are being questioned, and when respect for each others’ differences is on the decline. How often do we say to ourselves: “Yea, but what can I do about it?”. Actually, with a little psychology maybe you can turn things around. In this episode I interview someone who’s doing just that: Patrice Jones. 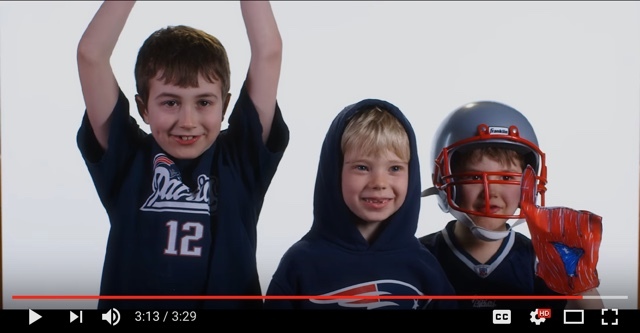 He’s a marketing VP and he recently created a video on his own time that he hopes will remind viewers – be they New England Patriot’s fans or not – that we all share a commitment to basic human values like equality and dignity. If we are to keep those values alive we need to be vigilant. See how Patrice is combining a little psychology with his skills as a marketer to develop empathy and a shared sense of the larger group to which we all belong. This episode really irritates me. I’m not sure how you can see the Pats refusing to go to the White House such a big deal. Why does everything have to turned into a political issue. Sports should NOT be a platform to spew political view on either side of the aisle. Just play the game, be the fan, support your team….leave your political views out of it. Donald Trump is our President through a legal election in our country. We will never have a consensus on who should be our leader, or what is the best way to fix our economy, etc., but the mature thing to do would be to accept it, hope for the best, and try to advocate for your candidate in the next election. I was not a fan of President Obama in the least; however, I always hoped the his success, because this meant success for the country. We’ve got to stop by the “I” nation and start being the “we” nation again.